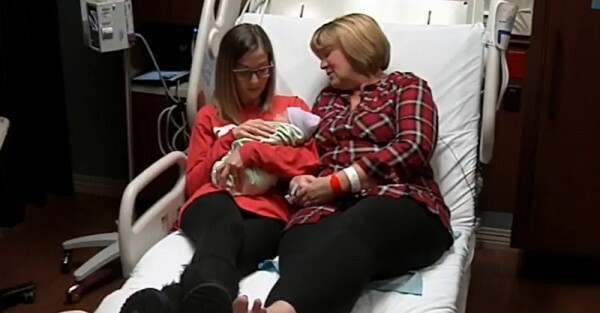 A grandmother has given birth to her own granddaughter after acting as surrogate to make her daughter’s long-held dream of having a child come true. Tracey Thompson, 54, gave birth to Kelcey, a healthy baby girl weighing 6lb 11oz, giving her daughter and son-in-law the most precious gift – a family of their own. Tracey’s daughter, Kelley McKissack, 28, had been trying for three years to have a baby with husband Aaron, 33. 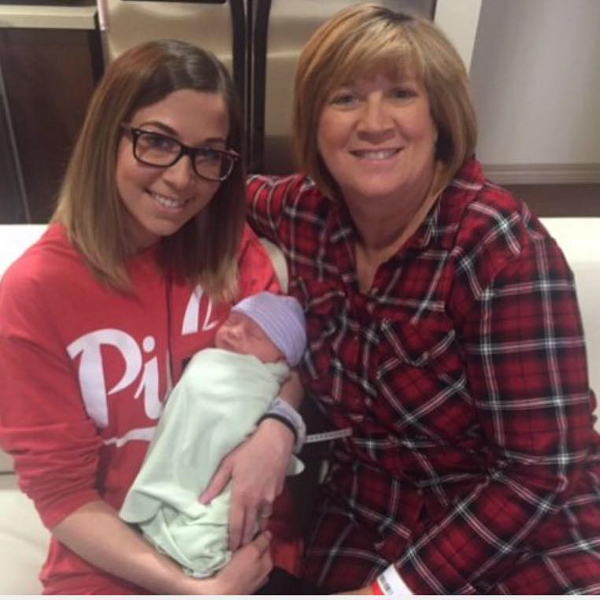 After the couple endured the heartbreak of three miscarriages and unsuccessful attempts at IVF, the selfless grandmother offered to be the surrogate and carry their precious baby for them. Tracey has two adult children of her own, Kelley and an older son. Announcing the pregnancy via Facebook in July, the proud grandmother posed for a photo with the sign “their bun in my oven. Baby McKissack due Jan ’16”, with the parents-to-be kissing Tracey’s cheeks. An embryo, left over from Kelley’s previous IVF attempts, was implanted into Tracey in April 2015 after several medical treatments to prepare and allow her body to carry a baby. Tracey had already gone through menopause, but was in excellent health, according to the Medical Centre of Plano. A hospital spokesperson says age alone is typically a limiting factor for childbirth and surrogacy. However, medical advances in assisted reproductive technology can allow for late in life surrogacy, under exacting supervision. “It was difficult, I wasn’t 20 years old and pregnant. The therapy I had to do wasn’t a piece of cake,” Tracey recalls. “I didn’t want to see that heartbreak in the two of them again. It is such a blessing that I can do this for my daughter”. 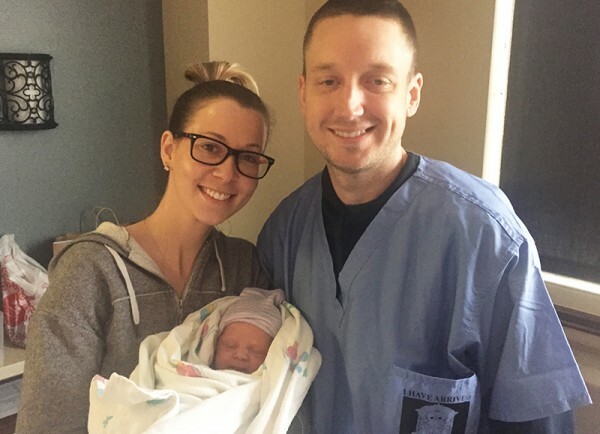 Baby Kelcey McKissack was born in Texas via caesarean section on January 6, her name a sentimental combination of her mother’s and grandmother’s names. And while holding her baby for the first time, Kelley’s first words to her mum after the birth were: “Here’s grandma, baby. Mum, she’s so perfect – you made a perfect one”.